Martinsburg, WV - Stoney Creek Bluegrass Band has released a new single and music video for "The Traveling Song". The track is the first single from the band's new double live album, Live On Location. "The Traveling Song" is available to radio broadcasters through AirPlay Direct. The music video, featuring West Virginia's mountain scenery and a touch of vaudeville humor, can be viewed on Stoney Creek's Website, Facebook and YouTube pages. Martinsburg, WV -- Stoney Creek Bluegrass Band has announced the July 1 release of "Memories & Tears", a new album featuring the music of Deanna Stottlemyer. "All of the songs were written by my late sister, Deanna. She passed away 12 years ago and she left a big pile of music," says Stoney Creek's Libby Files. Stoney Creek Bluegrass Band finds their latest album, Memories & Tears in the #1 spot on AirPlay Direct.The album has reached #1 on the Top 50 album chart and single chart. All 11 original songs from the album are available for broadcasters to download.. "Come Stay Awhile" is the first single from the band's latest album. The Outer Banks and the whole Northeast region of North Carolina has waited a long time for this music festival. Well folks, the wait is over. The first annual Outer Banks Bluegrass Festival is just around the corner! Come hear that old familiar twang, in the tradition of Bill Monroe, Lester Flatt and Earl Scruggs and so many other legendary performers. Hedgesville, WV -- Stoney Creek is pleased to introduce the band's newest member, mandolin player Bob Simmers. Simmers has been playing the mandolin for over 25 years. He has played with bands throughout south central Pennsylvania and Maryland, including the Gospel Grass Band and Harmony Road. Hedgesville, W.Va. (May 29, 2012) - Calv'ry Booking and Management will release "Are You Ready?”, the new gospel album from Stoney Creek Bluegrass Band, on Tuesday, June 19. The debut single and title track, “Are You Ready?”, has been released through AirPlay Direct and iTunes and is being serviced to bluegrass radio. The song's music video will begin airing in rotation on BlueHighways TV in June. The video is currently available online through YouTube and Yallwire and below. 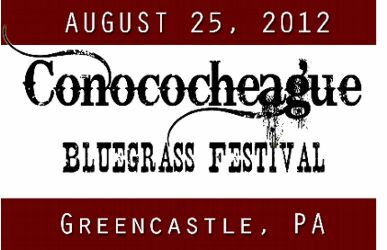 Greencastle, PA -- Greencastle American Legion Post 373 has announced the line-up for the 2012 Conococheague Bluegrass Festival, set for August 25. This year's festival will be opened and closed by Stoney Creek Bluegrass Band, recently hailed as "mainstream bluegrass at its best" by Bluegrass Unlimited magazine. 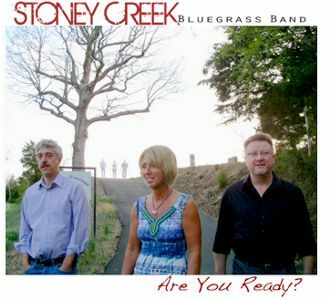 Stoney Creek will be spending most of 2012 promoting its new bluegrass gospel project. 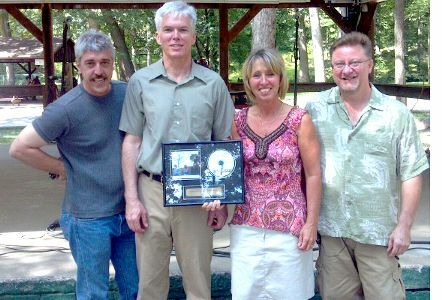 Several singles from the band's last studio album, "Hot Off the Press", reached number one on AirPlay Direct's Bluegrass Singles chart and the album was a mainstay on the Roots Music Report Bluegrass charts for more than a year. Washington, DC -- Stoney Creek Bluegrass Band will appear on Tuesday's (7/26) Tom "Cat" Reeder Show on WAMU's Bluegrass Country. Stoney Creek will be in the studio at 2:00 p.m. (EDT) to premiere their new album, Live In Concert. Hedgesville, WV -- Calv'ry Booking and Management will release Live In Concert, the new album from Stoney Creek Bluegrass Band, on Tuesday, July 26th. The debut single, a newly crafted version of the Stanley Brothers' "I'll Take the Blame", has been released through AirPlay Direct and is being serviced to bluegrass radio.